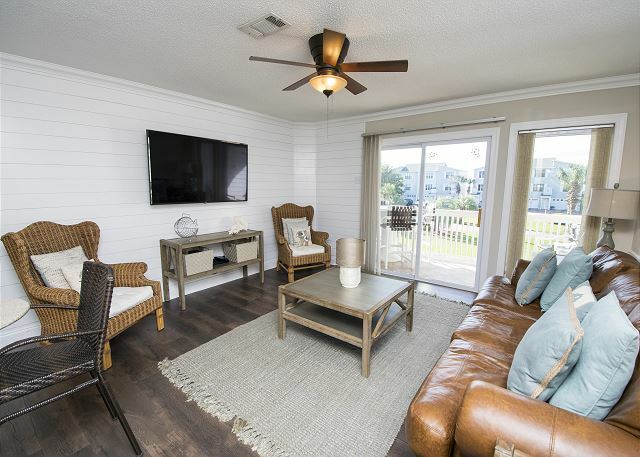 Come enjoy Mrs. Robinson's Beach House, townhouse conveniently located south of 30A in the heart of Blue Mountain Beach, Florida! 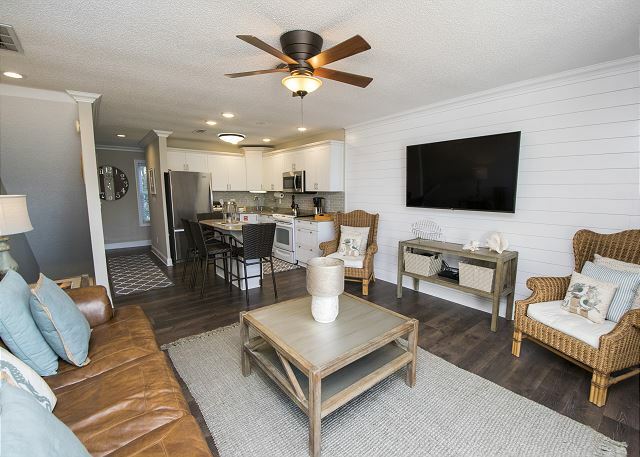 This 3 bedroom, 2.5 bath property sleeps up to 10 guests, and is a only a 2 minute walk to the sugar white sandy beaches of 30A! 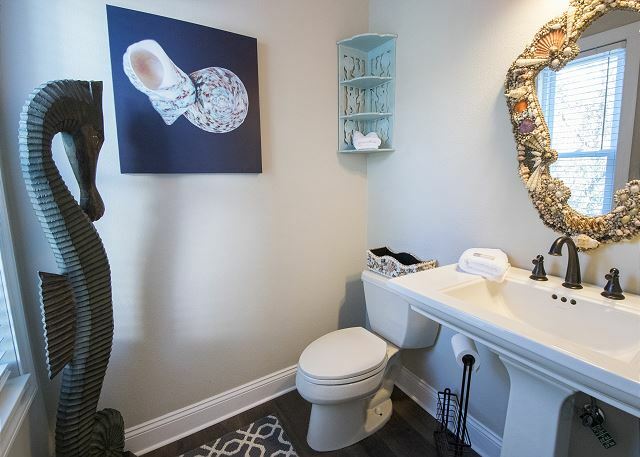 This home is located less than one mile from the nearby community of Gulf Place, where you are only a short walk, bike or drive to fun family activities, delicious restaurants, desirable boutiques, and more! 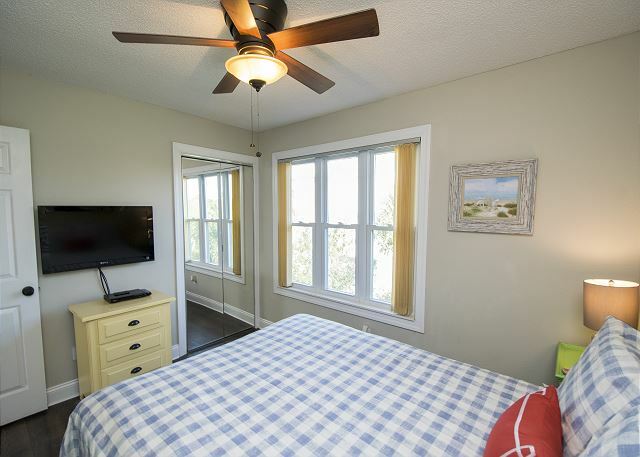 Master Bedroom with King Size Bed, Futon (sleeps 2), flat screen TV, and Gulf View. The master offers a private bath with a tub/shower combo and a double vanity! 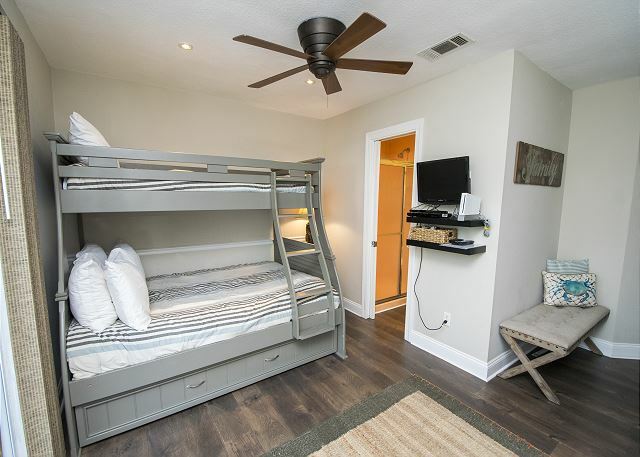 Large Bedroom with a Queen Sized Bed and a flat screen. 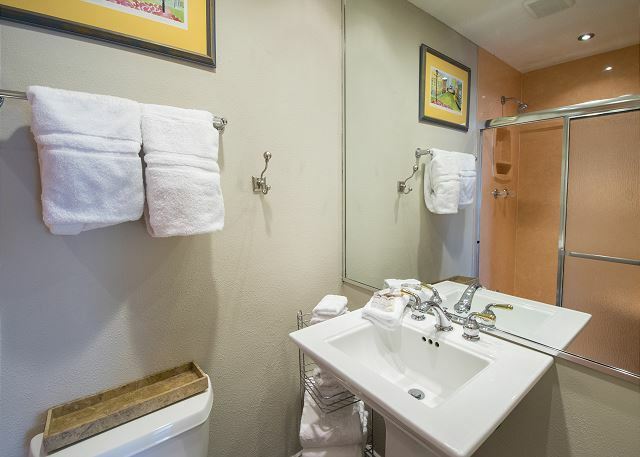 This bedroom has private bath with a single vanity and a stand up shower. 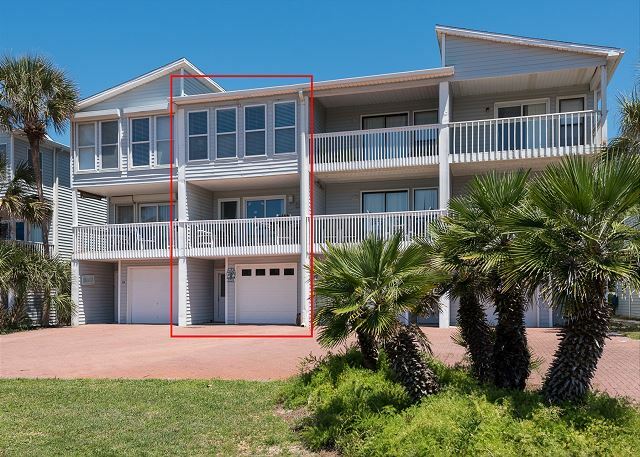 With three floors, large living spaces, nearby restaurants, shops, and more, you and your family are sure to find fun and relaxation in this beautiful home just steps from the beach! Perfect house and a perfect location with kids. House was clean and had everything we needed. We will be back!!! 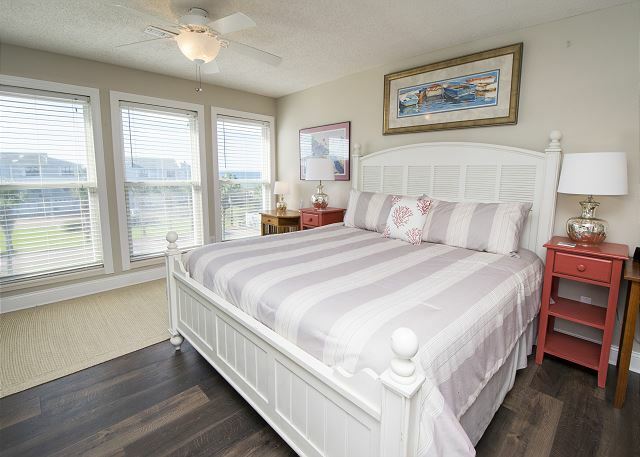 My vacation must have...a comfy Master bed!, and I slept like a baby every night! Super comfy sofa. Supplies for days! Plenty of fresh, clean bath towels. So many kitchen gadgets/necessities. The home was clean from top to bottom The updates amazing. Yes, the property is a little older, but Mrs. Robinson’s is a gem of a find. 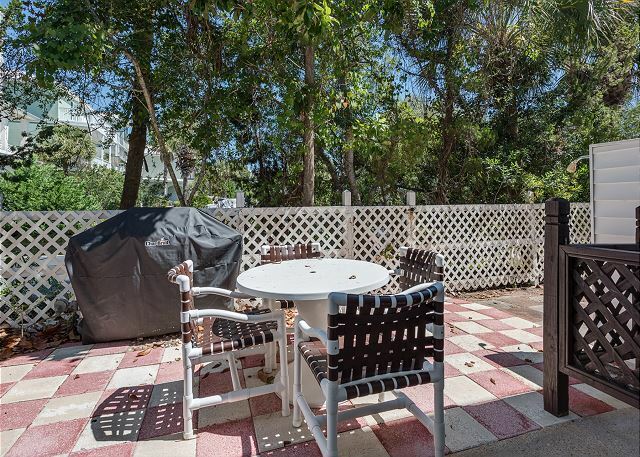 Private courtyard area for bike riding and other outdoor games. I honestly cannot say enough! 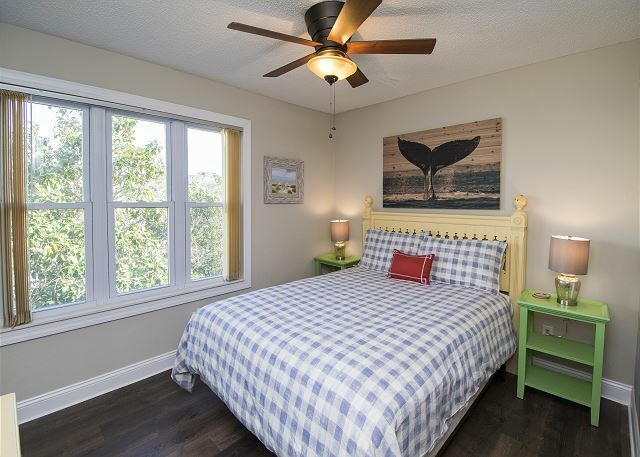 Kristen at Benchmark 30A did a fantastic job in suggesting this property. We were not dissappointed. Beach supplies. We loved being able to come into the garage with all our stuff from the beach and a place to store our bikes. The onlly suggestion we have is to include directions on operating the TV’ s/ remotes. Thank you Dawn - what more could I possibly say?! We are overjoyed and grateful! are secret renovations in process right now! You must stayed tuned for this one - this beauty is getting some upgrades and you do not want to miss the boat! Call Benchmark today - yes call us right now - and let us secure your stay at Mrs. Robinson's Beach House. You can have it all - just give us a call! Could not be happier! House was very clean. The gated community was very nice and clean! Probably one of the best most relaxing vacations my family has had! The rental was very nicely renovated. Benchmark was very helpful. 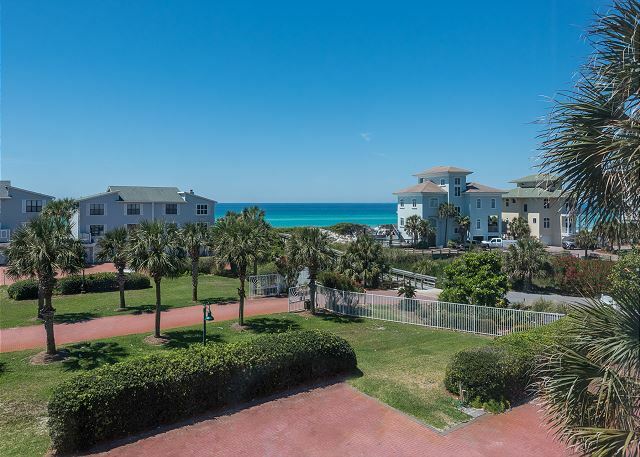 The location is perfect for beach, running, and restaurants. We love to stay here, and hope to again in the future. Thank you for submitting your review - and we would love to host you anytime! 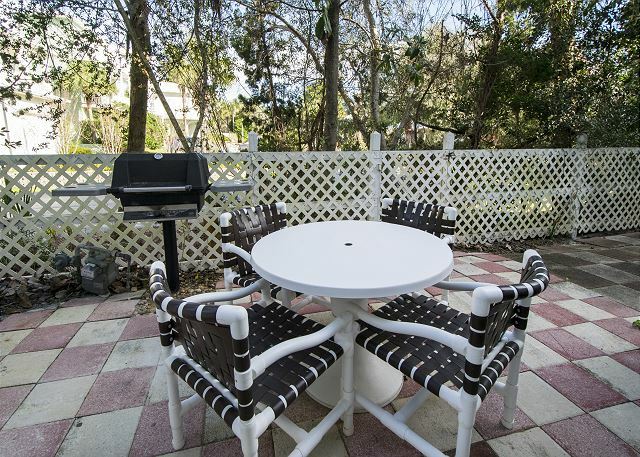 This is a great condo located on Spooky Lane (how fun is that??!) 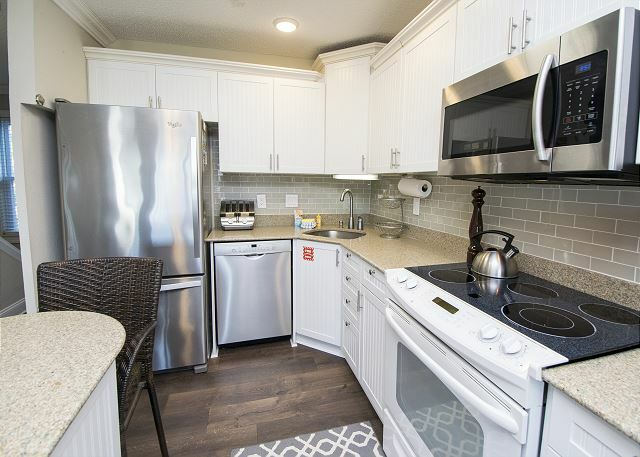 and it is very conveniently located close to several great restaurants and shopping areas. And as mentioned - there is a wonderful path for bike riding, running or walking so you can just head out in either directions and keep on going! 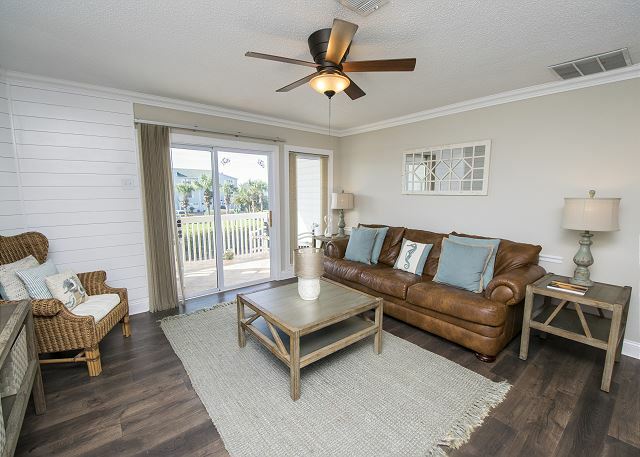 Benchmark would love to help you reserve Mrs. Robinson's Beach House for your next family vacation - you will not be disappointed! We loved this townhouse. 2 Hembree families stayed in this unit with plenty of room. No problem getting to the beach. Thank you for submitting your review! 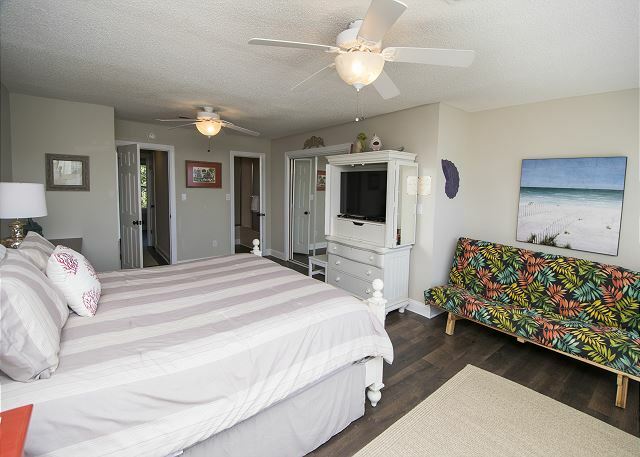 We are glad you enjoyed your stay at Mrs. Robinson's Beach House! 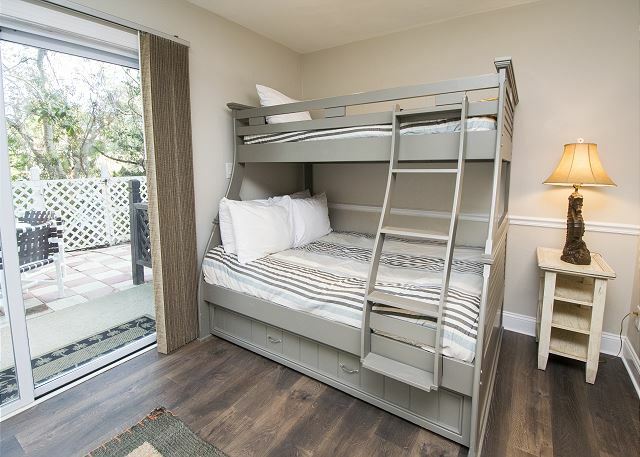 There is plenty of room for all and just a very quick easy walk to the beach - it doesn't get any better than that! 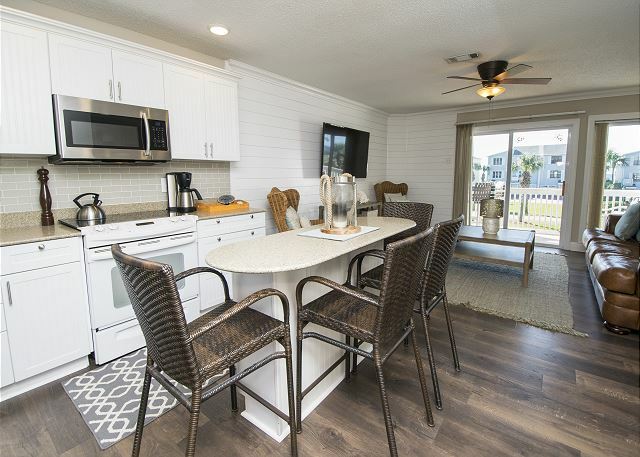 If you are looking for a great place to stay and have your furry family members join you then Mrs. Robinson's Beach House is your place! We are pet-friendly and would welcome you all! 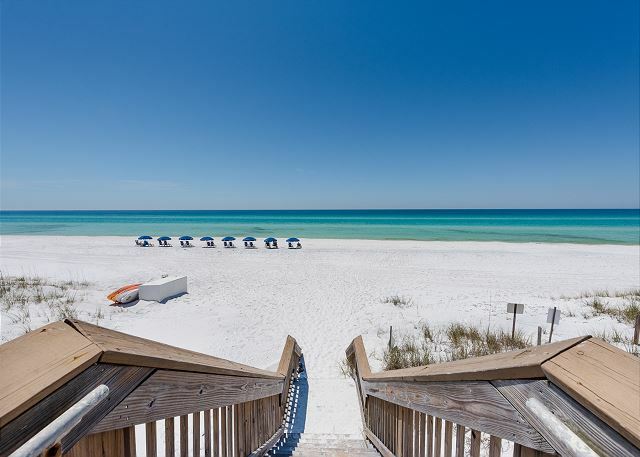 Give a call today and experience a once-in-a-lifetime beach vacation! Absolulty wonderful!! We had a group of 10 ladies and there was plenty of room. We brought one air mattress to add to the master but really didnt need it. House was clean and beautiful. Lots of the girls are already planing trips with there families to go back there. And everyone is ready to plan next year. Close to everything. Thank you for submitting your review! 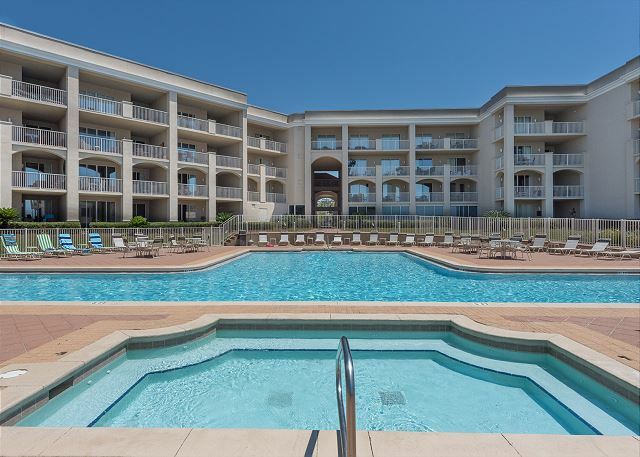 So glad you enjoyed your girls trip at Mrs. Robinson's Beach House - this unit is a gem!! 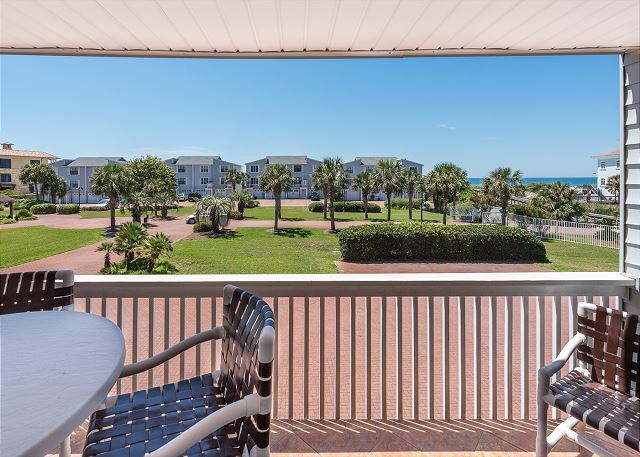 Gorgeous views, great space and a great location - all makes for a perfect beach vacation! 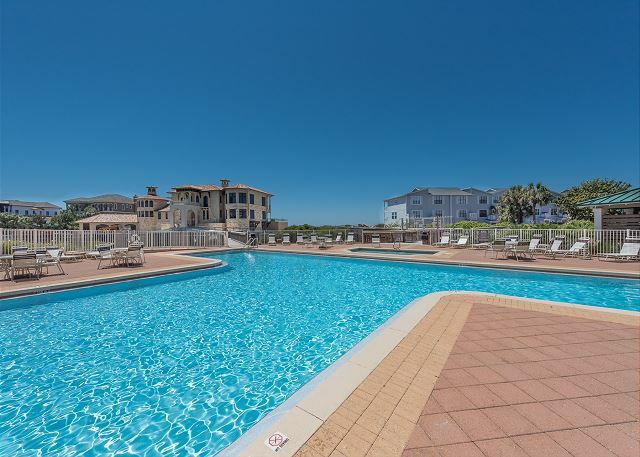 We would welcome you back any time and we have more wonderful properties to choose from so that we can find something to suit any of your family needs! Call today for a quote - this property is very popular and fills quickly! All in all we had a good time getting to spend time with our daughters and other family members. We just picked a bad week, weather wise. The location needs a new dryer and most of the interior doors do not close. Thank you for submitting your review - we do appreciate your comments. We will absolutely have our maintenance department look at the doors and we can talk with the owner about a new dryer for our guests. 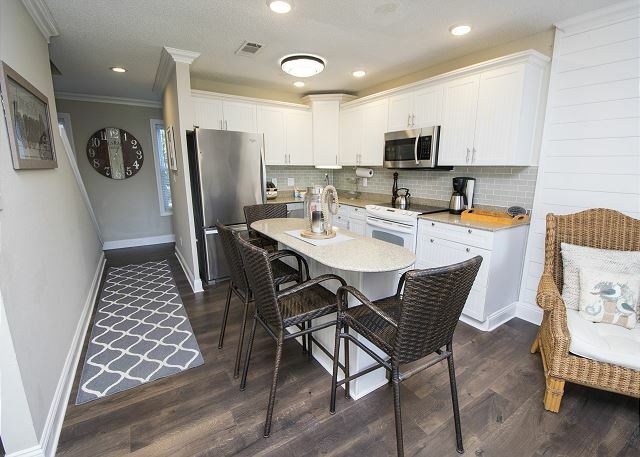 We do hope you enjoyed the brand new updates including new flooring and new granite countertops!! And the location to the beach is hard to beat! We also hope you enjoyed the fun activities and great restaurants in this area. Thanks again and we hope to work with you in the future! We had a fantastic time. The condo is very comfortable. The pictures are accurate. It's well designed and very well appointed. We had everything we needed and had a wonderful time. We loved using the bikes and the kids and adults all had a great time! 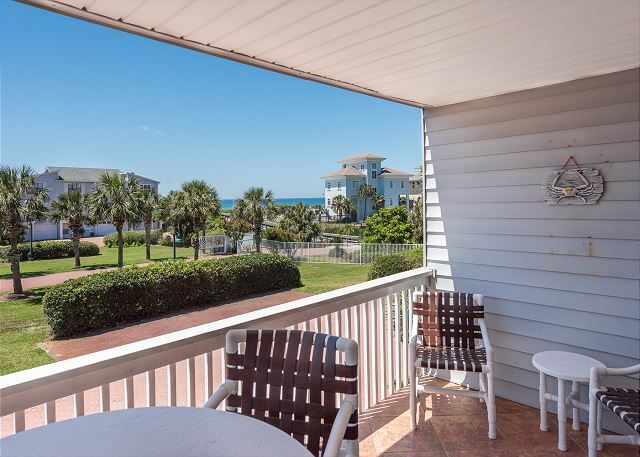 Thank you for submitting your review and we are so glad you enjoyed your stay at Mrs. Robinson's Beach House - this truly is a great beach house to enjoy! We do hope that you will join us again soon! Our stay here was perfect. We were evacuees from hurricane Irma. We enjoyed the beautiful blue ocean and white soft sand. The condo was clean, spacious and well furnished. Even the garage was stocked with all kinds of toys for the beach. It was cozy and inviting. I would definitely go back. Thanks again! Thank you for submitting your review and we are so very glad we were able to accommodate you and your family given the circumstances! We hope that your return home was safe and that your home is in tact! We hope that you can come back again and truly relax! Thank you for your kind words. This location was perfect for our family vacation! We could sit on the balcony early and let the grandkids ride the bikes while we watched! The beach was just steps away from our door! Our little granddog loved it there also! If only the townhome had been cleaner! The kitchen smelled greasy and I'm not sure how long since under the fridge and stove have been cleaned!And I was getting my things from closet to pack up for home and a huge wad of dog hair was stuck to it! I love dogs just clean up after they have been there! The whole place should be cleaned a lot better! Room downstairs with bunk beds was dark and it stayed hot down there! These are all things that can easily be taken care of!!!!! Kids loved the bikes and the blow up boat and the crab nets and much fun!! !Loved the views from the top window and the balcony, a great place to sit and read my Bible in the morning! Thank you so much for taking the time to submit your review. We do take your comments seriously and see that we have some work to do! 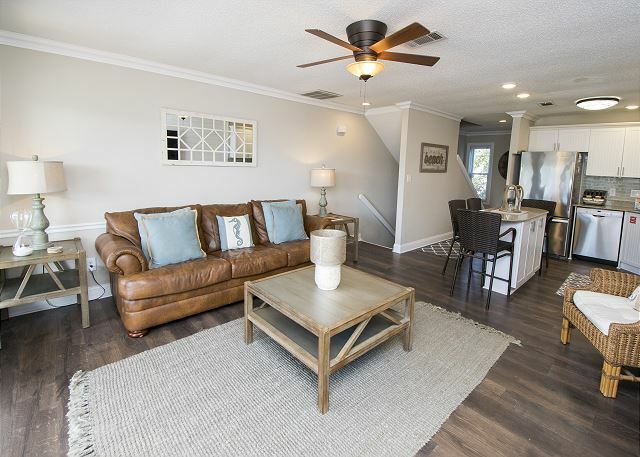 We have addressed these issues with our cleaning crew and will be doing so with our inspectors as well to ensure that the property is ready for you on arrival! 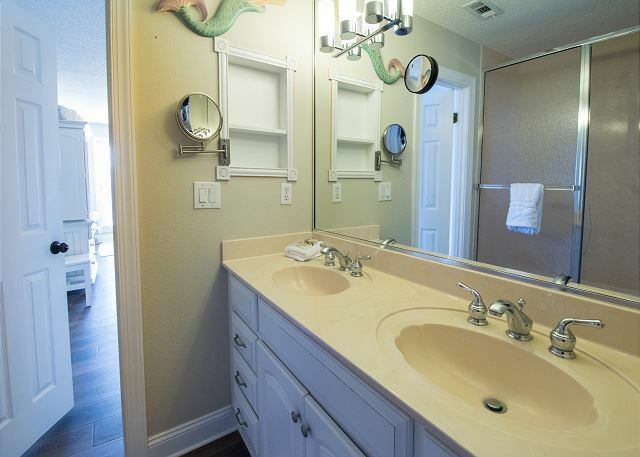 We will also address your suggestions (hooks in the laundry room, etc) with the owners to see if we can make some of those improvements as well. We do hope that you will join us again soon!